Main body material: A105LF2F304F316F304LF316LF51, WCB LCB WCC CF8 CF8M CF3 CF3M A890 4A etc. Valve seat material: PTFE RPTFE NYLON DEVLON Derlin PEEK PPL HNBR FKM or metal hard seal etc. 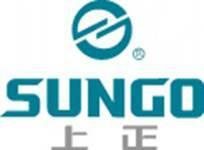 SUNGO, being with more than 25 years of historical experience in the design, manufacture, and quality control of ball valves, has continuously absorbed the advanced technology. Based up on further study and exploration of the ball valves, the company has developed many kinds of unique and new products, of which five sorts of the ball valves have be en patented by the state. Looking for ideal API 3PC Flange Trunnion Ball Valve Manufacturer & supplier ? We have a wide selection at great prices to help you get creative. All the Worm Wheel Flange Ball Valve are quality guaranteed. We are China Origin Factory of Electro-hydraulic Trunnion Ball Valve. If you have any question, please feel free to contact us.